The Staffs Mod is probably one of the most simple mods you will ever find and download. But that’s what makes it so brilliant – it doesn’t add too much to the game and it doesn’t take away from that vanilla Minecraft feel. It adds in four staffs based around the elements, fire, ice, earth and water. Each staff has its own unique ability! There is no real way to ‘use’ the Staffs Mod. You first of all need to download the mod and install it with the help of Minecraft Forge. If done correctly then all of the mod’s features should automatically be enabled, all you need to do is find them or craft them! There are currently no public video showcases available for the mod, sorry about that! Ice – The ice staff places an Ice Block down in the direction you are looking in! 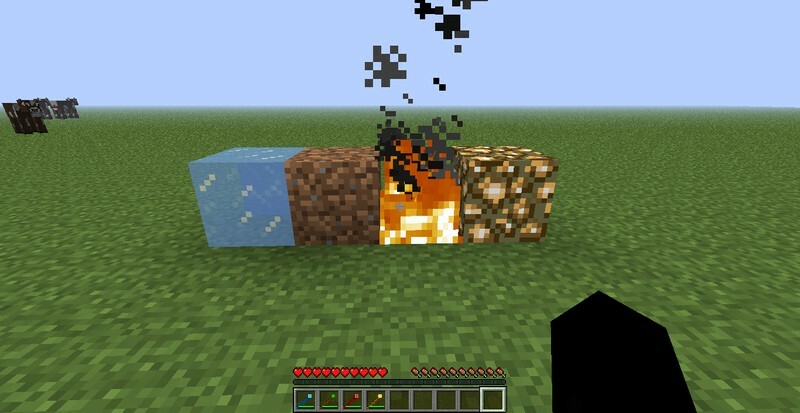 Fire – The fire staff blocks sets a block that you are looking at on fire! Light – The light staff places a block of light in the direction you are looking in! The developer has noted how he will be adding features in the future. There are currently no public changelogs for the Staffs Mod, the entire mod was released at the same time!